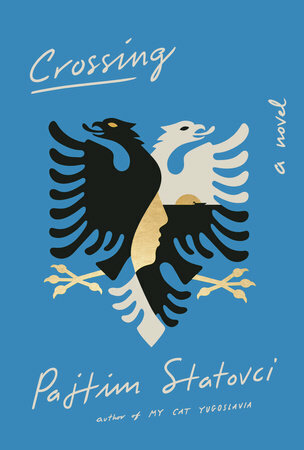 The following is from Pajtim Statovci's novel Crossing. Bujar and Agim, best friends growing up in the ruins of their families and communist Albania, escape to Italy in search of the feeling of home in their new country and in their own bodies. Pajtim Statovci is currently a Ph.D. candidate at the University of Helsinki. His first book, My Cat Yugoslavia, won the Helsingin Sanomat Literature Prize for best debut novel and his second, Crossing, won the Toisinkoinen Literature Price. He received the 2018 Helsinki Writer of the Year Award. When I think about my own death, the moment it happens is always the same. I’m wearing a plain, colored shirt and a matching pair of pants, cut from thin material that’s easy to pull on. It’s early in the morning and I am happy, I feel the same sense of contentment and satisfaction as I do at the first mouthfuls of my favorite meal. There are certain people around me, I don’t know them yet, but one day I will, and I’m in a certain place, lying on my hospital bed in my own room, nobody is dying around me, outside the day is slowly struggling to its feet like a rheumatic old man, I hear certain words from the mouths of my loved ones, a certain touch on my hand, and the kiss on my cheek feels like the home I have built around me like a shrine. Then one by one my organs give up and my bodily functions begin to close down: my brain no longer sends messages to the rest of my body, the flow of blood is cut off, and my heart stops, mercilessly and irreparably, and just like that I no longer exist. Where my body once was now there is only skin and tissue, and beneath the tissue there are fluids, bones, and meaningless organs. Dying is as easy as a gentle downhill stroll. I am a twenty-two-year-old man who at times behaves like the men of my imagination: my name could be Anton or Adam or Gideon, whatever pleases my ear at any given moment. 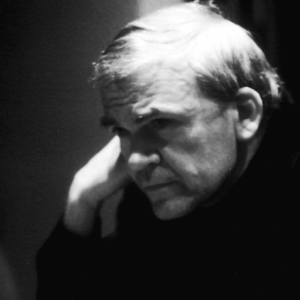 I am French or German or Greek, but never Albanian, and I walk in a particular way, the way my father taught me to walk, to follow his example, flat-footed and with a wide gait, aware of how to hold my chest and shoulders, my jaw tight, as though to ensure nobody trespasses on my territory. At times like this the woman within me burns on a pyre. When I’m sitting at a café or a restaurant and the waiter brings me the bill and doesn’t ask why I’m eating alone, the woman inside me smolders. When I look for flaws in my dish and send it back to the kitchen or when I walk into a store and the assistants approach me, she bursts once again into flames, becoming part of a continuum that started at the moment we were told that woman was born of man’s rib, not as a man but to live alongside him, at his left-hand side. Sometimes I am a twenty-two-year-old woman who behaves however she pleases. I am Amina or Anastasia, the name is irrelevant, and I move the way I remember my mother moving, my heels not touching the ground. I never argue with men, I paint my face with foundation, dust my cheeks with powder, carefully etch eyeliner around my eyes, fill in my brows, dab on some mascara and coif my lashes, put in a set of blue contact lenses to be born again, and at that moment the man within me does not burn, not at all, but joins me as I walk around the town. When I go into the same restaurant, order the same dish, and make the same complaint about the food the waiter does not take it back to the kitchen but tells me the meat is cooked just the way I asked, and when he brings me the check he watches me as if I were a child as I rummage in my handbag and pull out the correct sum of money, then disappears into the kitchen with a cursory Thank you. The man within me wants to follow him, but when I look at what I’m wearing, my black summer dress and dark-brown flats, I see that such behavior would be inappropriate for a woman, and so I leave the restaurant and step out onto the street, where Italian men shout and whistle at me, at times so much that the man inside me curses at them in a low, gruff voice, and at that they shut up and raise their hands into the air as though they have come face-to-face with a challenger of equal stature. I am a man who cannot be a woman but who can sometimes look like a woman. This is my greatest quality, the game of dress up that I can start and stop whenever it suits me. Sometimes the game begins when I pull on an androgynous garment, a formless cape, and step outside, and then people start making assumptions, they find it disconcerting that they don’t know one way or the other, sitting on public transport and in restaurants, cafés, it irritates them like a splinter beneath their fingernail, and they whisper among themselves or ask me directly: Are you a man or a woman? Sometimes I tell them I am a man, sometimes I say I’m a woman. Sometimes I don’t answer them at all, sometimes I ask them what they think I am, and they are happy to answer, as though this were a game to them too, they are eager to construct me, and once I’ve given them an answer order is finally restored to the world. I can choose what I am, I can choose my gender, choose my nationality and my name, my place of birth, all simply by opening my mouth. Nobody has to remain the person they were born; we can put ourselves together like a jigsaw. But you have to prepare yourself. To live so many lives, you have to cover up the lies you’ve already told with new lies to avoid being caught up in the maelstrom that ensues when your lies are uncovered. I believe that people in my country grow old beyond their years and die so young precisely because of their lies. They hide their faces the way a mother shields her newly born child and avoid being seen in an unflattering light with almost military precision: there is no falsehood, no story they won’t tell about themselves to maintain the façade and ensure that their dignity and honor remain intact and untarnished until they are in their graves. Throughout my childhood I hated this about my parents, despised it like the sting of an atopic rash or the feeling of being consumed with anxiety, and I swore I would never become like them, I would never care what other people think of me, never invite the neighbors for dinner simply to feed them with food I could never afford for myself. I would not be an Albanian, not in any way, but someone else, anyone else. At my weakest moments I feel a crushing sense of sorrow, because I know I mean nothing to other people, I am nobody, and this is like death itself. If death were a sensation, it would be this: invisibility, living your life in ill-fitting clothes, walking in shoes that pinch. In the evenings I sometimes hold my hands out before me, clasp them together, and pray, because everybody in Rome prays and asks God to help them resolve difficult situations. A thing like that can catch on so easily, and so I pray that I might wake up the next morning in a different life, even though I don’t even believe in God. I do, however, believe that a person’s desire to look a particular way and behave in a certain manner can directly impact the breadth of a shoulder, the amount of body hair, the size of a foot, one’s talent and choice of profession. Everything else can be learned, acquired—a new way of walking, a new body language, you can practice speaking at a higher pitch or dressing differently, telling lies in such a way that it’s not lying at all. It’s just a way of being. That’s why it’s best to focus on wanting things and never on what might happen once you’ve got them. When I first arrived in Italy I was sure I would be able to secure a job I enjoyed, I would meet a partner who loved me and start a family for whom I would be prepared to give my life. I was convinced that somebody would find me and see the potential I had, appreciate everything I could give to the world. I waited and waited, a year, a second and third, waited for these things to start happening, waited for someone to see my uniqueness, but the authorities and social workers didn’t care for my plans and hopes, they scoffed at my dreams of studying psychology at the University of Rome, though I explained I’d read the basic texts many times. Shouldn’t you study a vocation instead? they asked. You don’t even have a high-school diploma; most people your age have one of those, some even have a university degree, they argued and sent me home to consider my limited options: a career in the construction or customer-service industry, a life not significantly better than the one I had left behind. As time passed I realized that I no longer considered myself special or unique, and this is perhaps the worst thing that can happen, for this if anything will make a person passionless, this if anything forces one to believe in God. You clutch the branches you can reach, and settle for your destiny. Only then will you see the light, the fact that the lack of rights and opportunities very rarely leads someone to the fight for them. Every day I spend in this city, in these different lives, is meaningless and insignificant, and for that reason all those years I have spent learning new skills and foreign languages I might as well flush down the drain. The most ridiculous thing of all is that throughout my childhood and my youth, I considered myself beautiful, talented, and intelligent—a combination of qualities that ought to guarantee success. I am quick to absorb information, I’ve never feared going the extra mile, I’ve always enjoyed the fact that the things I have studied are challenging, and I derive great satisfaction at being able to solve a tricky conundrum. I have never doubted myself or questioned my future success, because I have always practiced long and hard until I become the best at anything and everything I turn my mind to. Yet instead I have entered a life in which I wonder how to erase myself from the world in the least painful manner. There are days during which I barely open my mouth, not even to thank someone or to say hello, days during which the only thing I am capable of doing is appearing like I know where I am going, looking like I belong in this city. This is not my life, these days are not mine. It is not me who obsessively washes stains of urine and excrement from around the toilet bowl in cafés and restaurants simply so that nobody using the toilet after me might think I’d left such a mess. That is someone else, a ghost living at the edge of my shadows. Excerpted from Crossing. Copyright © 2016 by Pajtim Statovci. Translation copyright © 2019 by David Hackston. Published by arrangement with Pantheon, an imprint of The Knopf Doubleday Publishing Group, a division of Penguin Random House, LLC.